Materia is to be seen, but even more to be touched. 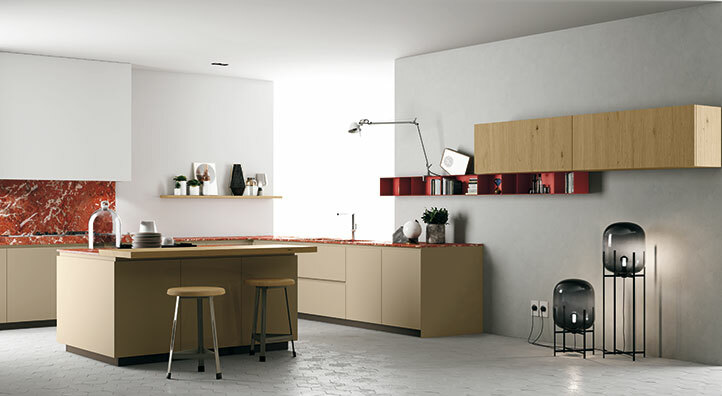 This collection of kitchens mixes natural with technical and innovative materials. 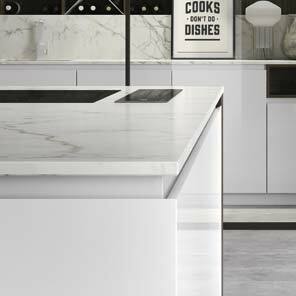 To the touch they are silky, beginning with the base units in super matt lacquer and the extra-thick cooktop in Grafite Spazzolato marble. 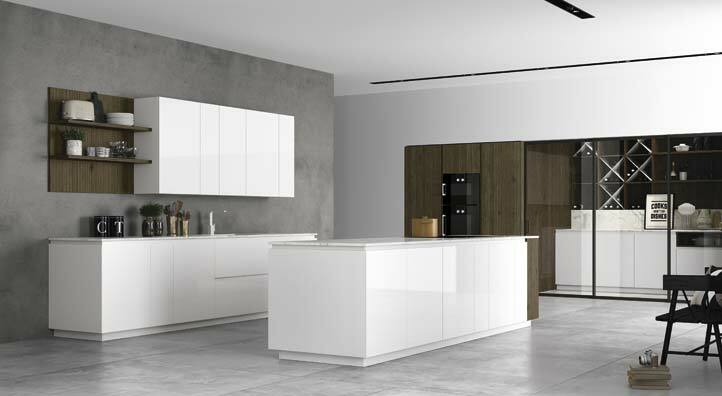 The room is warmed by a boiserie in thermo-treated acacia, used also for the increased height floor to ceiling tall cabinets with built-in ovens. 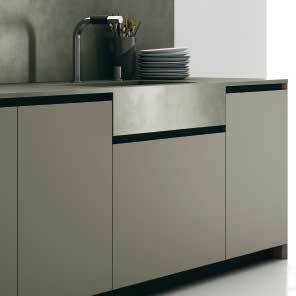 The base cabinets feature fronts with 30° recessed edge. 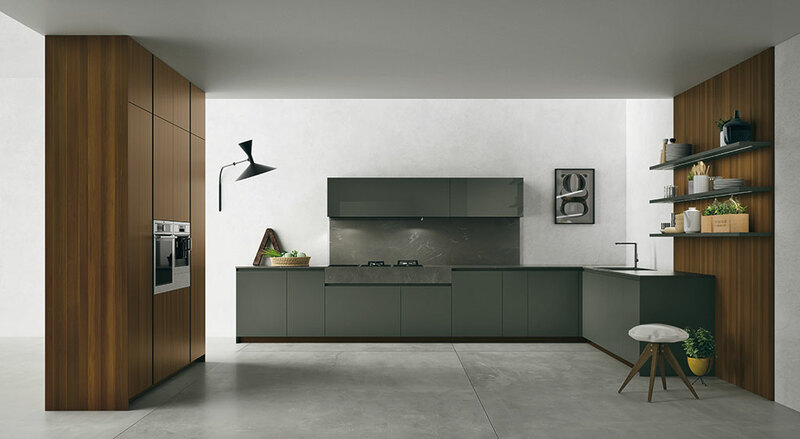 The side panels, mitred at 45° and jointed to the base cabinets, create the effect of a continuous surface, as if the piece were made of a single elegant block. 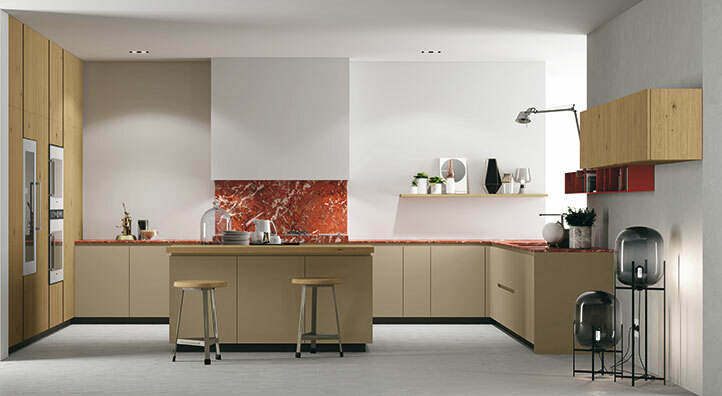 Kitchens in marble and wood are appreciated by those with a love for natural materials. 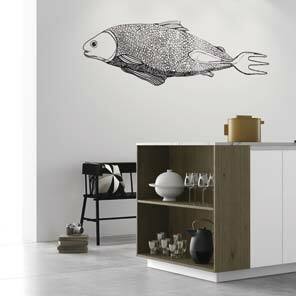 At Doimo Cucine they embrace a modern design, enriched by details. 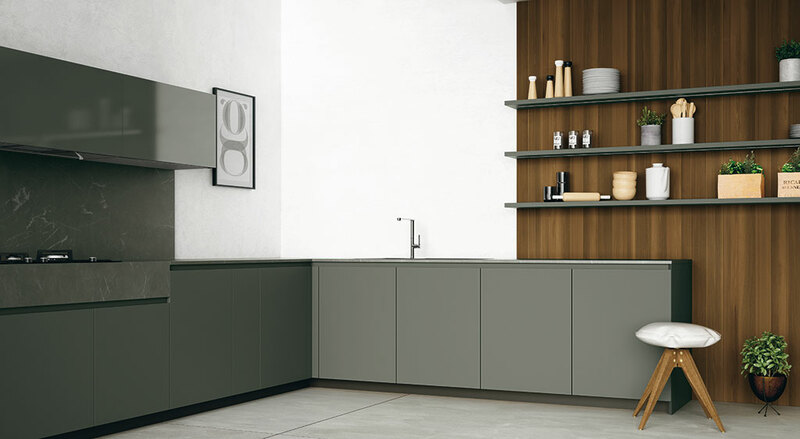 For example, the effect of a solid edge for the snack top in Scalfito oak or the note of colour introduced by open metal shelving. 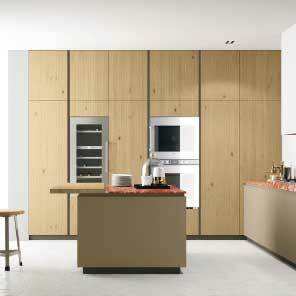 American style 76 cm wide tall units are perfect for larger kitchen appliances. 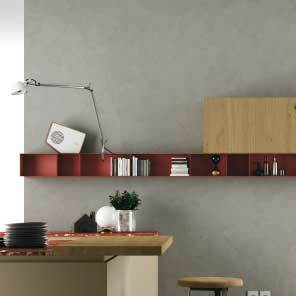 This contemporary kitchen adopts wall units in open metal shelving. 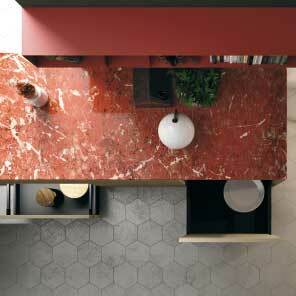 The worktops in Rosso Francia marble are a sign of modern elegance. A modern wood kitchen? 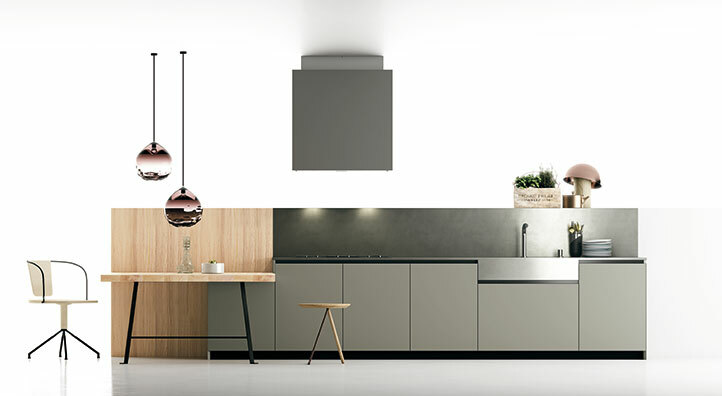 It features tall units and a table in Naturale elm, a Peltrox® steel worktop with built-in sink and base and tall units in Fenix NTM®. 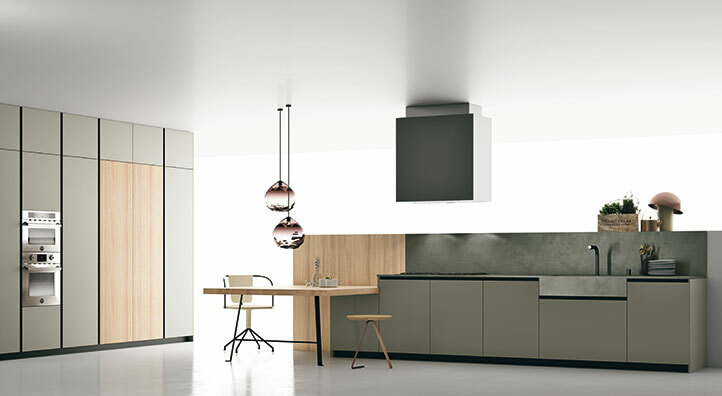 The effect is one of contrast, a mix of tradition and a taste for the industrial, plus natural and innovative technical materials. 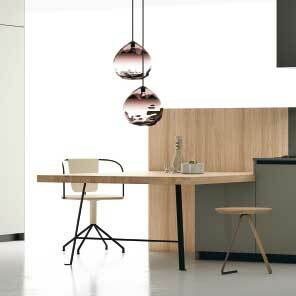 This element rests on a lowered base unit and on a metal structure created for the Materia Collection. The sink area and worktops are in aged-look and easy to clean Peltrox® steel. 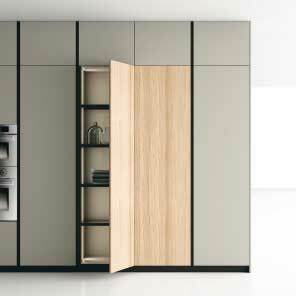 An elm insert for the tall units and vertical LED lighting, shelves with a black edge and smoked glass. A classic combination of natural materials in the kitchen: marble and wood. 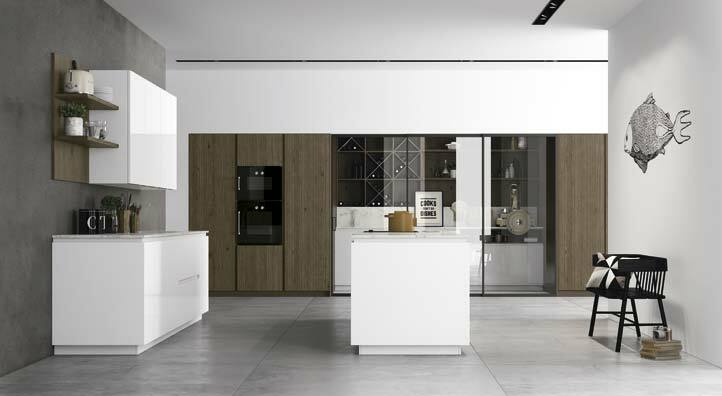 Coveted Calacatta, with broad grey veins for the top, and rovere Scalfito Ossido (Scalfito Ossido oak). All coupled with highly desired elements, such as the walk-in pantry with a wine rack and exhaust hood concealed in the top. The island ends with an open shelving unit in contrasting materials that doubles as a pantry or display case. The 30° cut at the top of the door warps around on the side panels, rendered even more elegant by the 45° mitre joint between the side panel and the door.